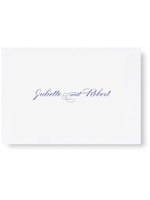 This large white wedding invitation shown in stunning navy blue ink is fresh and sophisticated. 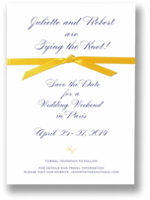 The oversized style of this invitation card is impressive in either landscape or portrait design. This invitation comes with matching large envelopes. 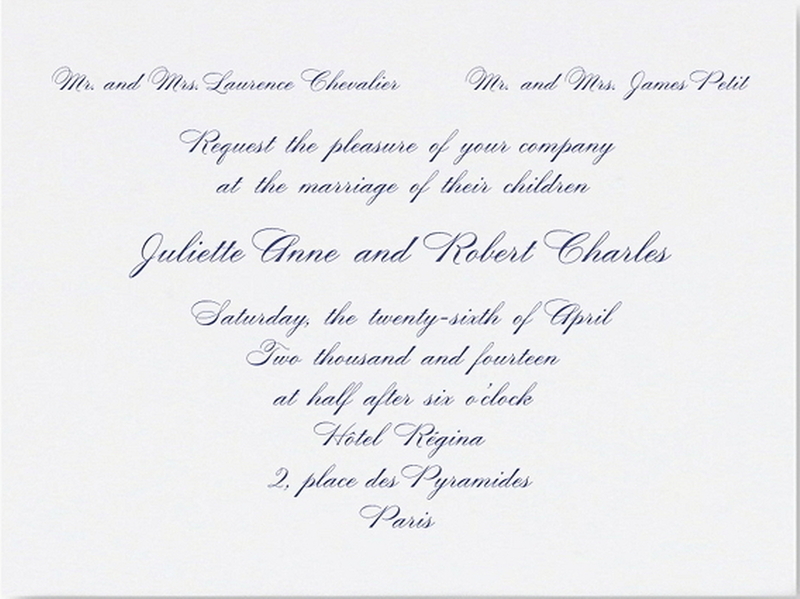 I like the way this particular design is presented - the font mimics a hand written invitation. It is classic and stylish. Some of my clients have a strong preference for this larger size card and its versatile nature. 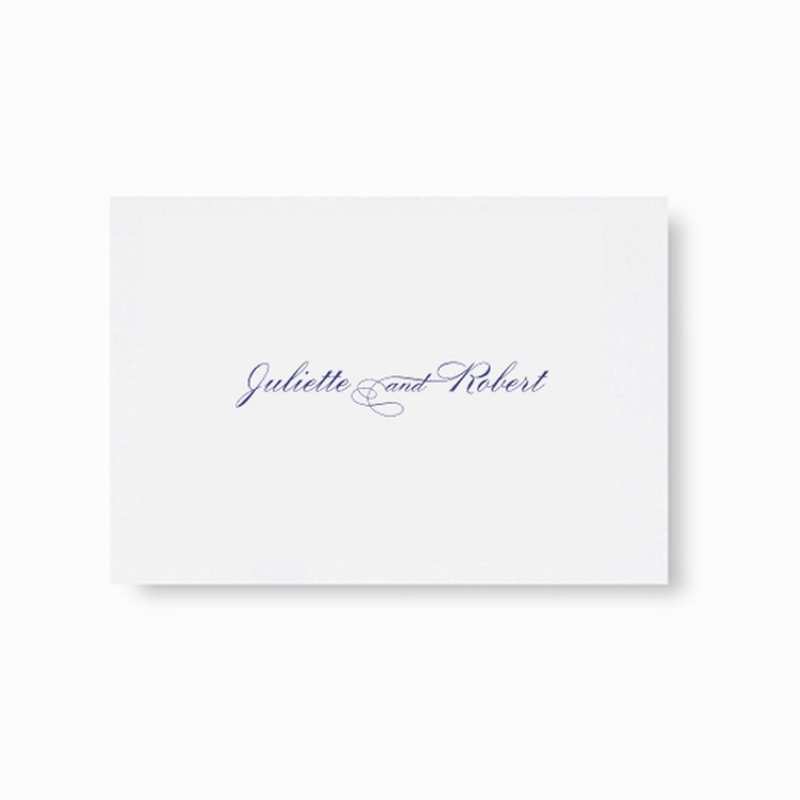 A full range of accompanying cards are available such as RSVP cards, place cards, thank you cards, evening invitations etc. 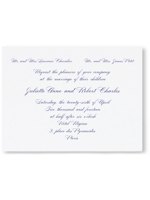 There is a large collection of matching envelope linings also available to choose from. 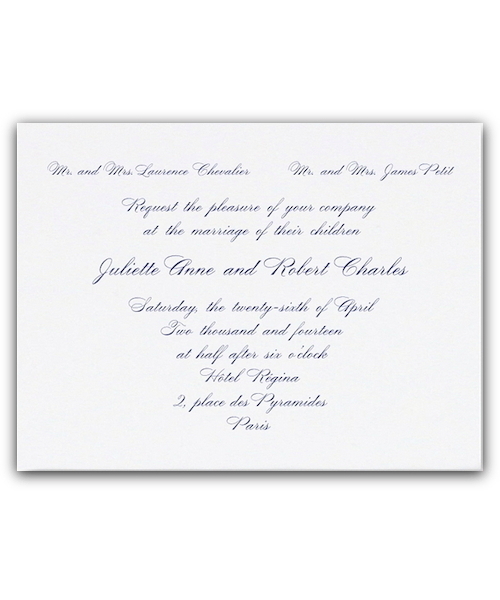 Envelope linings can look particularly impressive in the larger format envelopes. 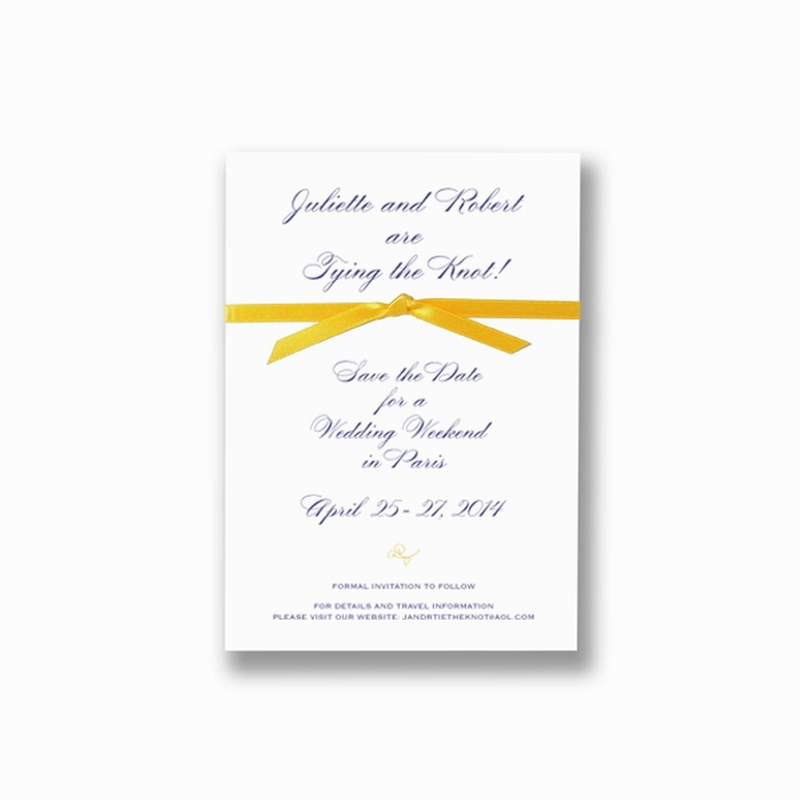 This invitation, printed in a single ink colour, using raised thermography print, including envelope, is available from €256 for a wedding of around 90 to 100 guests. For a wedding of around 100 to 150 guests the price would be €330.